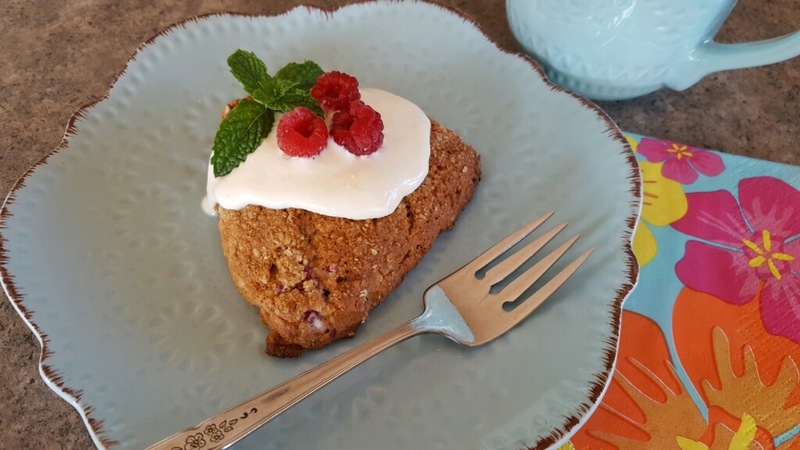 We recently received a request from one of our regular followers for a scone recipe, free of refined sugar. 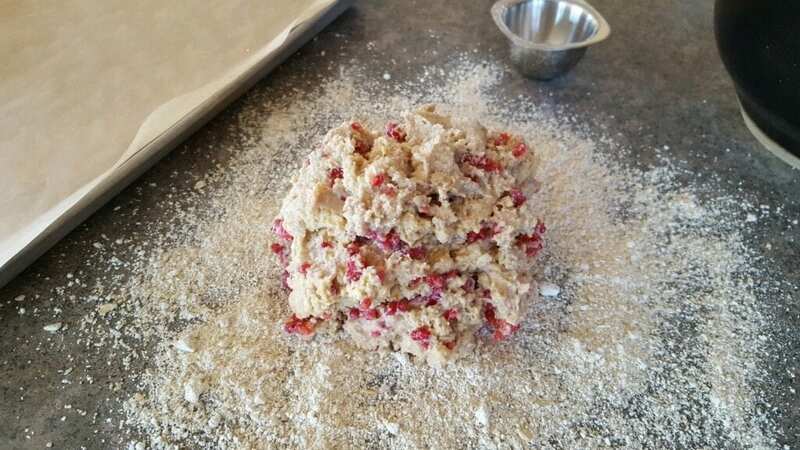 So off to the kitchen we went to create the “most-delicious-tasting-ever-pure-ingredient scone”. 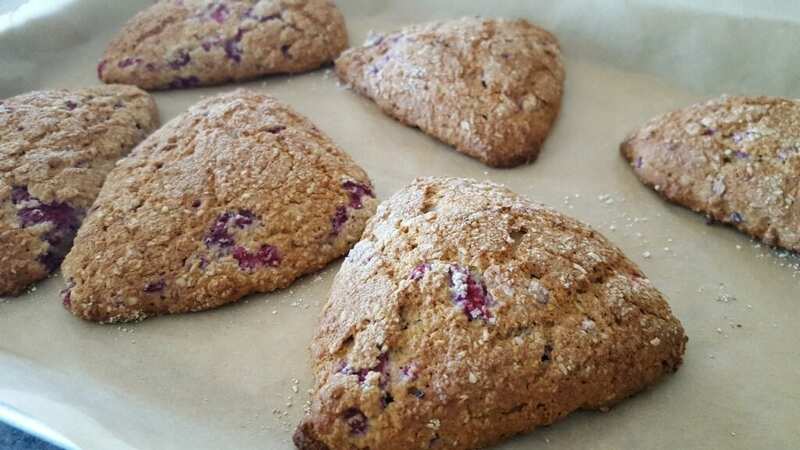 And since it’s raspberry season here in Minnesota, we thought it was the perfect fruit to use in our Raspberry Oat Scones. If you are a gluten-free fan, this is a must try! It got rave reviews from all of our taste testers! Preheat oven to 400°F. Line a large baking sheet with parchment paper. In a food processor, bullet, or blender, pulse 3 cups oats into a fine flour. Reserve 1/2 cup flour for dusting. 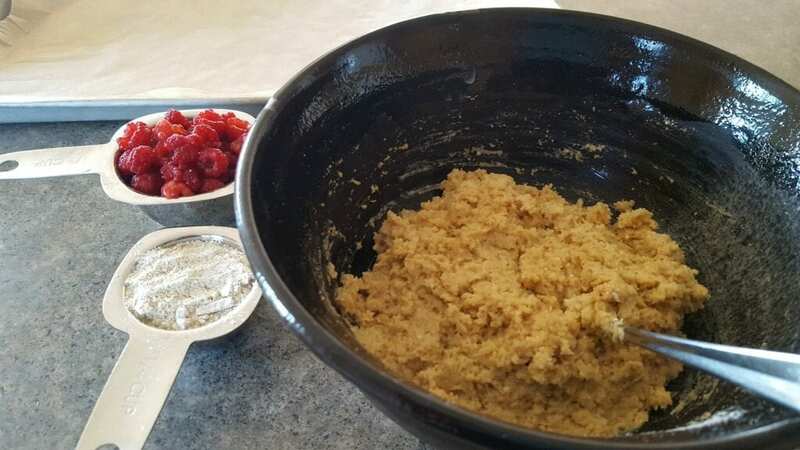 In a large bowl, stir together ground oat flour, whole rolled oats, coconut flour, baking soda and salt. Stir in butter, beaten eggs, honey, sour cream and lemon juice. Stir. Add raspberries. Dough will be sticky to touch. 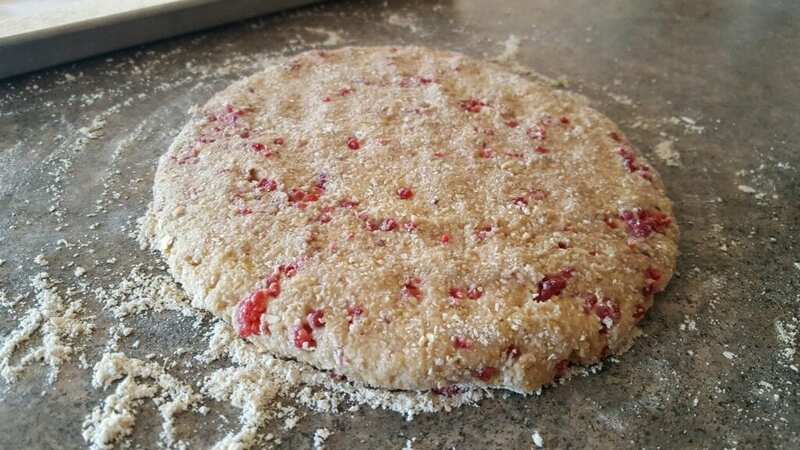 Turn the dough out onto a floured surface using the 1/2 cup reserved oat flour. 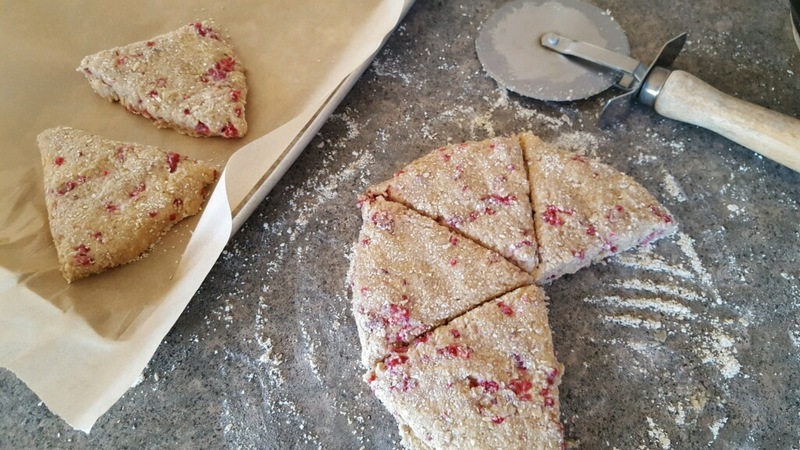 With a spatula, transfer scones to baking sheet. Bake 20 minutes or until golden brown. Transfer to wire rack to cool. In a small bowl, stir together the cream cheese, sour cream, honey and vanilla until well blended. When scones are completely cool, top with sauce and fresh raspberries. These are wonderful. I was out of raspberries and lemon juice so I used blueberries and vanilla. Great flavor and texture!